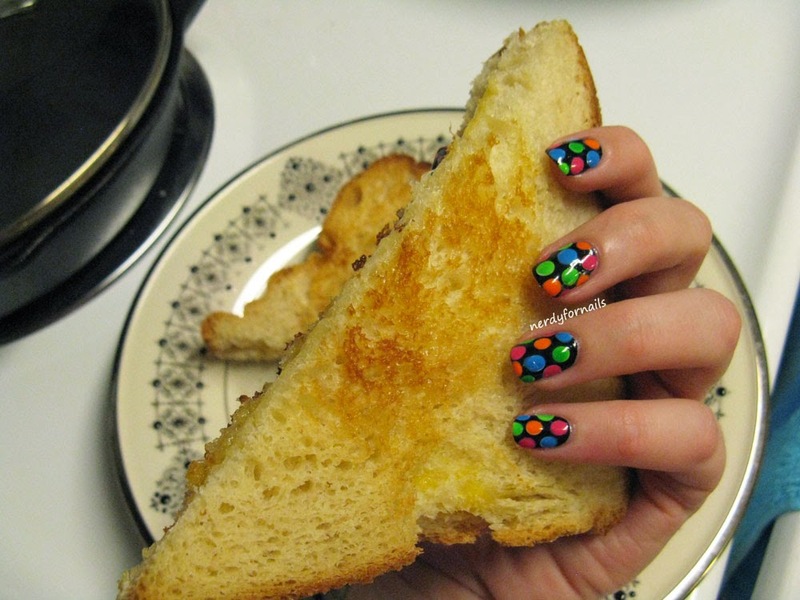 If you didn't catch my post from earlier this week, I did some cute dot nails to match the lunch bag I got in the Sargento Ultra Thin VoxBox. 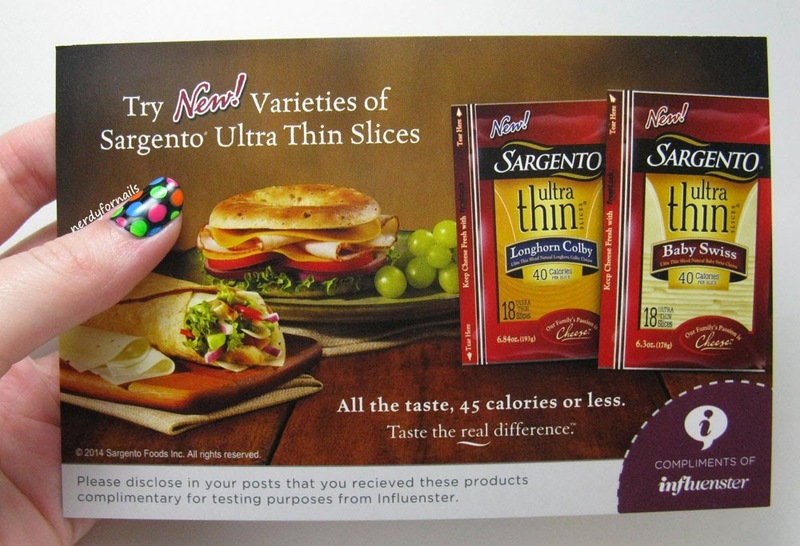 Also included in my box was a coupon for a pack of Ultra Thin cheese slices. I was only able to find the Swiss variety after checking two different stores so I had to get creative and find some new recipes that use Swiss cheese. The nice thing about Sargento cheese is that it's a healthier alternative to the cheese product slices like American that isn't so much real cheese. These Swiss slices do look like they were cut from a large block rather than being poured into a cheese shaped mold and sealed up in plastic. The thin cut also means fewer calories per slice if you're counting. Ok, so grilled cheese isn't exactly creative but it sounded good. I used my Ultra Thin slices and grilled up some sandwiches. The flavor of the Swiss is pretty mild and it was tasty in the sandwiches. I'm still lamenting the fact I had no tomato soup to dip it in. My second recipe was a little more adventurous. I did a google search for swiss cheese recipes and picked one that sounded the best. 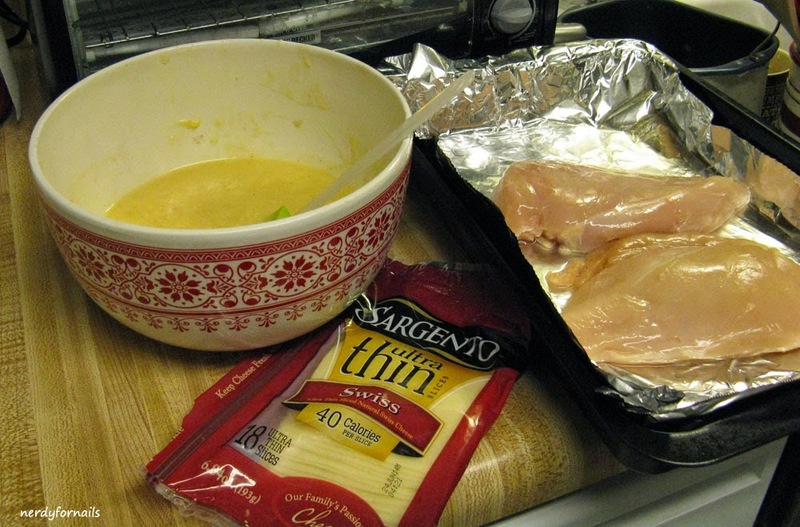 My winner was Creamy Swiss Chicken. 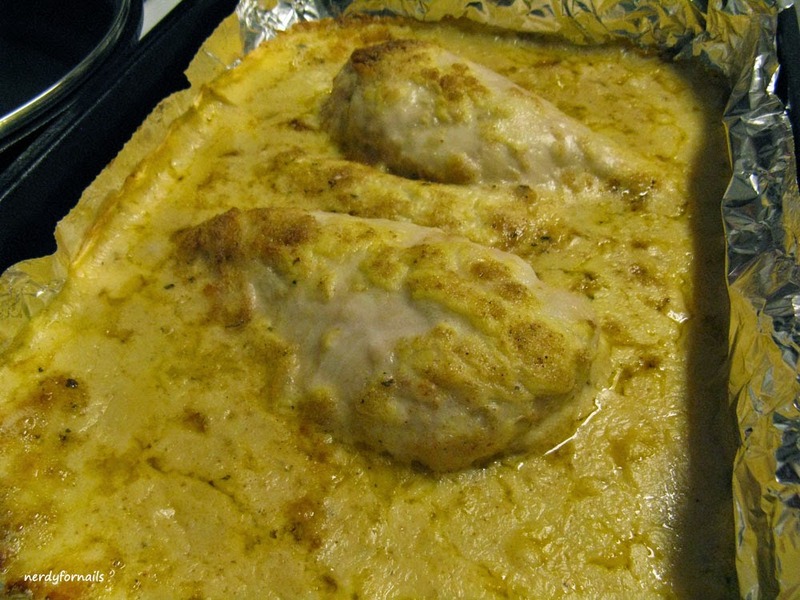 This recipe uses white wine and cream of chicken soup to make a sauce that you bake the chicken in. Cream of chicken soup looks almost exactly like banana pudding. That's not a mistake I'd ever like to make. Also, I dislike white wine so already this recipe is looking and smelling disgusting to me. Sorry Swiss slices, you deserve better. I've got my sauce all mixed up. 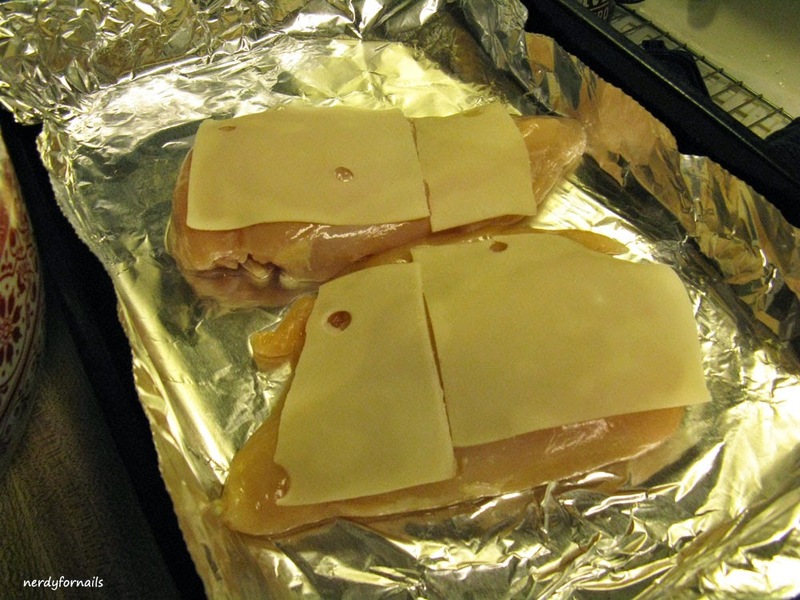 The next step is placing the Swiss slices on top of the chicken. So cute, look at the holes. Also, I'm sorry the lighting in my kitchen is so horrible. Here it is just out of the oven. 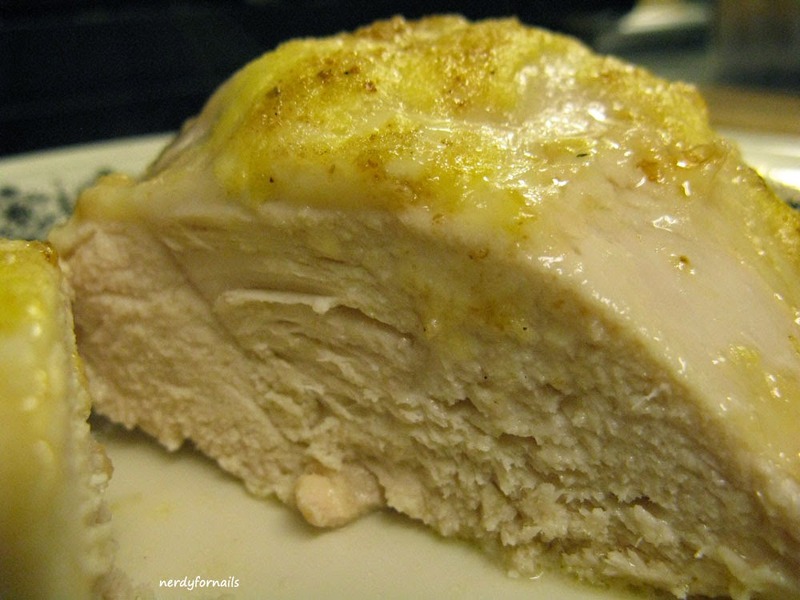 The recipes was for four chicken breasts, but there's just two of us so I made two instead. There's a lot of extra sauce which my husband loved. He likes each bite to be extra coated so it worked out well. My final opinion: Swiss = meh. It's just not my favorite cheese. I would have chosen a different variety if it were available. That said, the quality of the cheese was great. 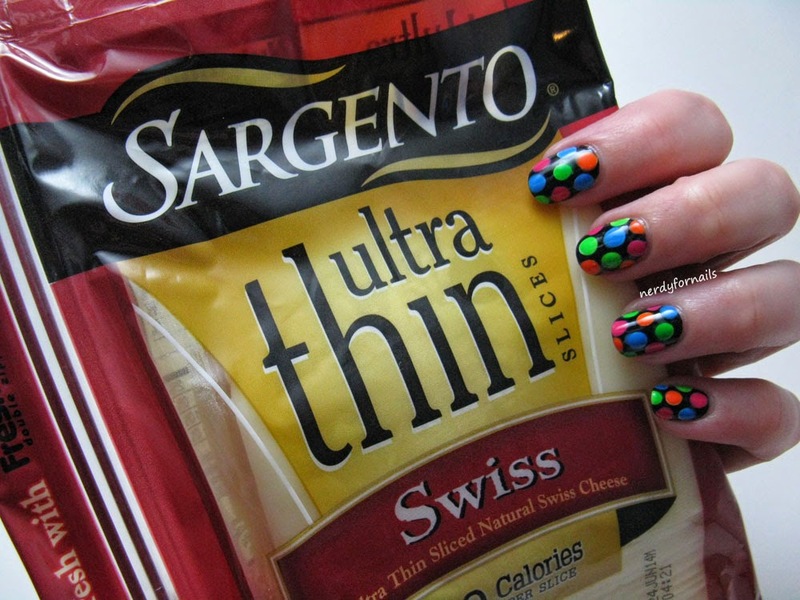 I love Sargento products in general and these slices would be especially nice if you had to make a bunch of lunches in a hurry. The packaging is resealable which is very convenient and the cheese tasted fresh each time. My husband loves Swiss and he really enjoyed both recipes. I'm sure I'm going to catch him eating the rest of the slices directly from the bag before the end of the week. Thanks Influenster for the opportunity to test another great product! If you'd like to review some products yourself head over to www.influenster.com to set up a profile.